Leaf garden sculpture which can be used as a bird feeder. 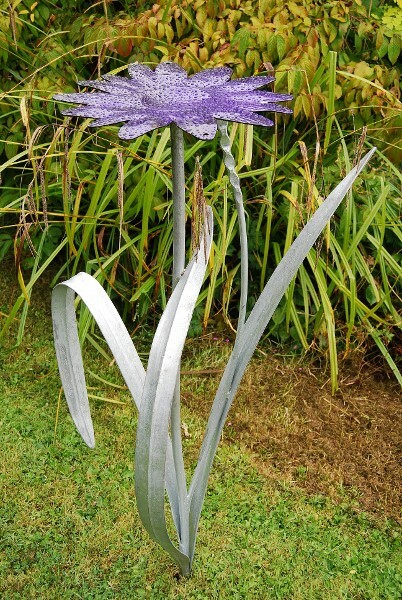 The sculpture has been galvanised and the flower is powder coated purple. The height when in ground is 1.2m and the width is 700mm. There is a spike on the bottom to push into ground.